Now that my frogs are out of the way I have finally got another update on Land In Sight. 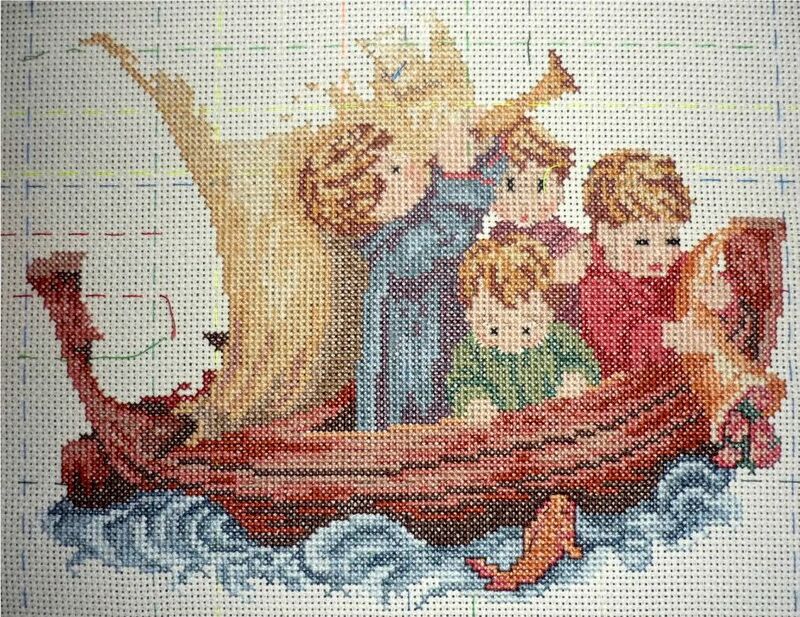 The boat is now finished and the fish is done with the back stitch started. I've also started the back stitch on the flowers to the right. I tried something different with this one. 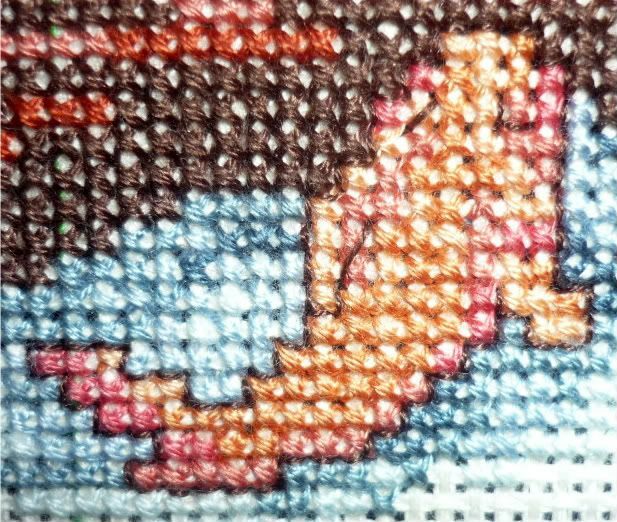 Instead of going to the next corner I did stitch by stitch. That's possible with this design because there aren't any odd shaped lines. It is mainly stepping. As you can see with this close up how it steps rather than cutting off. It makes it look more cartoony. I'm still waiting for a package to arrive, so as soon as at least one turns up I will have photos up on my stitching goodies :D I am really bad at waiting!